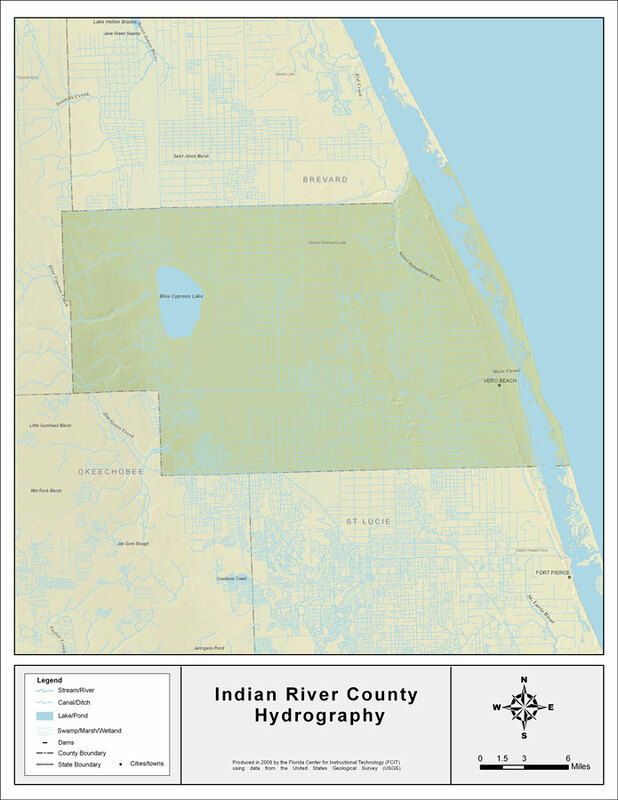 Description: This map was created by FCIT and shows the waterways of Indian River County. All major rivers, streams, creeks, lakes, and swamps are labeled. This map features Main Canal, Indian River, Saint Sebatian River, Blue Cypress Lake, and Blue Cypress Creek.